Aftenposten recently arranged a conference “Technology and the future job market” in Oslo. Uber and Airbnb are challenging transportation and hotel bookings around the world. Other disruptive innovations are challenging policy makers, and the theme of the conference I think, is that if we do not pay attention to these changes, many will be out of work in the near future. Famous presenters like Steven Wozniak and Don Tapscott shared their insight on this topic.Here are some of the Twitter messages I followed. You can not talk about the changes in society without discussing changes in education. If technology is drastically changing the job marked, surely we can not ignore what goes on in school? When discussing the future, can we leave out education on all levels? If technology is changing our lives, how come nothing is changing in schools? Norway has the resources to do well in the field of technology. Many school districts have invested heavily in hardware and software, and for some years now all high school students have had computers, laptops, Macs or tablets either on loan from the school or on a BYOD program. In 2006, Norway implemented a new national curriculum which increased the status of digital literacy to be the fifth basic skill in the Norwegian elementary school (stage 1-13). This was a historic event, and never before has digital competence achieved such status in curricula, either nationally nor internationally. 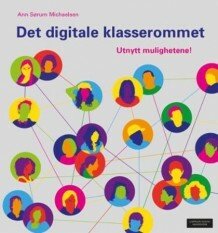 But while digital literacy is included in the framework of Norwegian schools, both teacher educators and teachers lack sufficient digital competence to fulfill these ambiguous policy goals. As a school leader, I still see a huge gap between the intentions of the government and school districts and what is actually going on in most classrooms in Norway. To get a perspective of the challenges we face in Norway we can look to the rest of Europe and see what the five-year horizon for European schools is. Which trends and technologies will drive educational change? What are the challenges that we can consider as solvable, what challenges seem difficult to overcome, and how can we strategize effective solutions? These were some of the questions discussed in the “Horizon Report Europe”, school edition 2014 last year where I represented Norway. Published October 2014, it shows that even if the resources and investments differ in the 23 countries involved, they all agree on the trends and challenges schools face with technology in the future. Some of the trends accelerating educational technology adoption in European schools are the growing ubiquity of social media and rethinking the role of the teachers. Moving the focus of learning back to our students seems like such a basic point not even worth mentioning, but in most schools it turns out to be one of our most difficult obstacles. What is happening in many Norwegian classrooms, and I presume in other countries as well, is business as usual. No change in the pedagogy and no change in assessment. In addition, if you look at what the Horizon report predicts are the challenges in the future, the integration of ICT in teacher education and our students’ low digital competence, there is no reason to be optimistic about this. We as school leaders cannot wait for a change of mindset in our teachers nor in our students to be the catalyst for change. We need to concern ourselves with what goes on in the classrooms and take action now. When visiting classrooms, which we should do on a regular basis, we need to look for engagement, teamwork, exploring, problem solving and active learning, not students sitting in rows listening to the teacher, or reading in their textbooks. We need to see how teachers are embracing the use of technology to increase their students’ learning. And we need to ask, how are they coping with the growing ubiquity of social media? As a school leader, I still see a huge gap between the intentions of the government and school districts and what is actually going on in most classrooms in Norway. In Denmark, students can use the internet during many exams. This is a good start in changing what goes on in school, in Norway it was a trial period for 3 years that now is terminated until further decisions by the Norwegian Department of Education. That was a huge disappointment for me. and yes it may surprise you to hear that in Norway we still have discussions about shutting off the internet. The common complaint from teachers is that students are not paying attention and listening to their teachers. I usually refer to the fact that most students in Norway have smartphones and are perfectly capable of connecting to their own private networks. Shutting down the internet in school is not an answer, yet many school leaders and teachers still believe it is possible and a sensible solution. That’s not a solution that would work for me, at least. In my classrooms last year, we Skyped with a class in South Africa discussing cultural differences and similarities. We participated in a google hangout with Ewan Mcintoshdiscussing the Scottish referendum and Scottish independence. We asked students in Alaska about the US elections and their views and we followed tweets on the riots in Ferguson. We discussed the Peace One Day movement with the founder Nic Frances Gilley and, BBC Click visited our classroom. The foundation for this work is my own efforts to create and cultivate my personal learning network and allow “strangers” into my classroom. It makes the classroom relevant, interesting, and international and, importantly, a fun place for me to work! If the teachers are not prepared for teaching in a modern connected classroom, where every tech savvy student has at least two devices online, many off-curricular actives will take place during the day. But rather than seeing technology as an obstacle, we should embrace it and explore all the possibilities it gives us. The main objective will always be the increasing our students’ learning by making by making school more relevant and motivating for the students as well as equipping them for the skills needed in the future. As far as I am concerned, the principals and administrators need to instigate this change. We need to be sure that the leaders understand what classrooms MUST become given the realities of the modern, connected world. The principals must embrace the use of technology and be in the forefront as an example for staff and students. They need their own personal learning network to connect with other school leaders and learn from their experiences. They should be experts on pedagogy, software and learning activities that enhances students learning. Moreover, they need to participate in these ongoing online discussions. 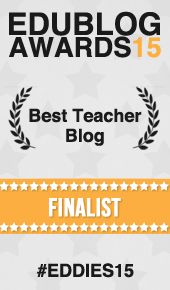 Next Post: Teachers, what do you do to help your students succeed?